As the latest man made addition to Mars prepares to set down, we take a look at the Mars rovers that have traveled to the red planet on their missions to explore it’s surface and potential for life. The Mars rover program has been a series of missions, sometimes successful, and something not. Of the six missions, today three have been successful. Given the cost of getting a Mars rover to it’s workplace, failure comes at an enormous price. In the case of the UK led mission, Beagle 2, the cost was £45 Million. This cost would have been far higher had it not been for Beagle 2 hitching a ride on the ESA’s (European Space Agency) Mars Express mission. The ESA’s cost for that mission to Mars was around 300 Million Euro. mission 1 (1971) Mars 2 – (USSR) – Rover name: Prop-M.
mission 2 (1971) Mars 3 – (USSR) – Rover name: Prop-M.
mission 3 (1997) Mars Pathfinder – (USA/NASA) – Rover name: Sojourner. mission 4 (2003) Mars Express – (UK/ESA) – Rover name: Beagle 2.
mission 6 (2004) Mars Exploration Rover – (USA/NASA) – Rover name: Opportunity MER-B. The Successfully deployed Mars rovers from the last six missions were: Sojourner, Spirit MER-A, and Opportunity MER-B. So that’s USA 3, UK 0, and Russia 0. 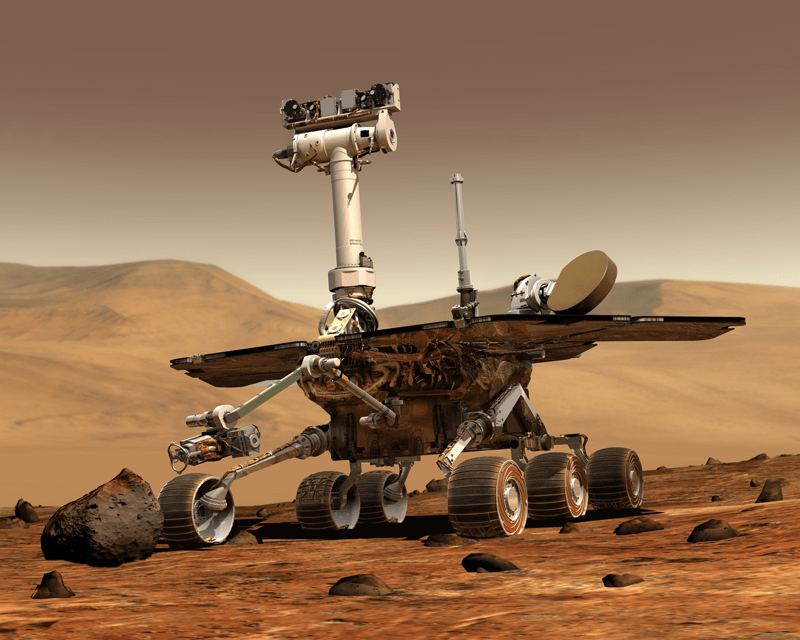 The current Mars rover mission – A rover called Curiosity. The current mission is about to attempt the most precarious stage of it’s long journey, since launching from Earth in early 2011. The Mars Science Laboratory, a bit of a mouthful, is scheduled to land on August 6, 2012. Only then will we know if the rover, Curiosity, has arrived safely. The NASA/JPL project has cost $2.5 billion to date and is the most ambitious martian science experiment to date. Mission 8 – ExoMars, by the ESA. Scheduled to launch in 2018. July 17th 2012: With less than a month to go before the landing it’s all looking good for the Mars Science Laboratory mission and it’s payload, the Mars rover Curiosity. August 6th 2012: Curiosity has landed safely on the surface of Mars. James Copernicus is Interesting Everything’s mad scientist and super geek. He lives in Manchester, England with his two dogs, named Arthur and Clarke.